Wherever the road may take you, the Kia Sportage will be ready! 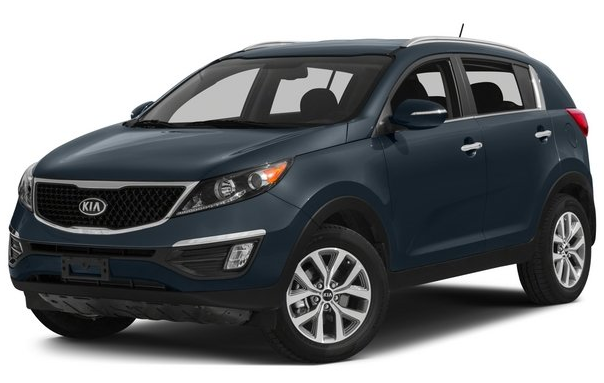 The 2015 Kia Sportage has a strong, muscular exterior with an impressive power-train that will get you where you need to be with effortless acceleration and superior handling thanks to the Gasoline Direct Injection (GDI) engines. 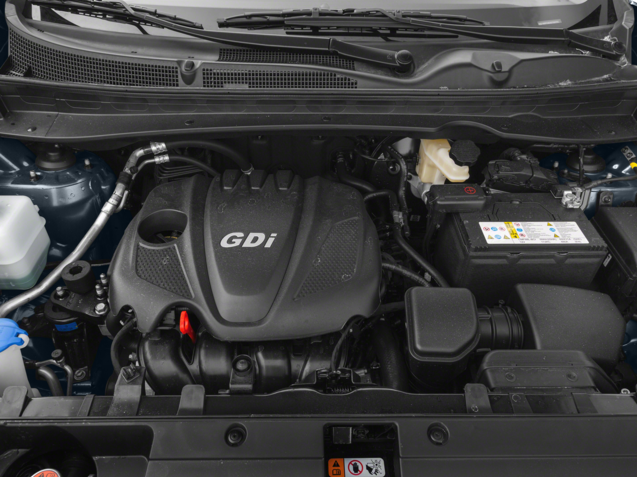 Choose between a fun driving 2.4L GDI engine, or opt for an extra boost in the 2.0L turbocharged GDI engine. No matter which you choose, you will enjoy the perks of an agile ride with amazing performance capabilities while cruising in a comfortable, first-class interior. Make a 2015 Kia Sportage yours today from Carriage Kia, your Gainesville, GA Kia dealer! The 2015 Kia Sportage is sure to impress with its agile handling smooth, effortless drive. Choose the LX or EX trim and receive an efficient 2.4L DOHC 16-valve Inline-4 engine generating 182 horsepower and 177 lb-ft of torque, or accelerate a bit quicker in the SX trim with a 2.0L DOHC 16-valve turbocharged engine generating an impressive 260 horsepower and 269 lb-ft of torque.. The 2015 Sportage can achieve up to 28 mpg highway and 21 mpg city* (FWD) or 26 mpg highway and 19 mpg city* (AWD). Enjoy the power and precision of a 2015 Kia Sportage. The 2015 Sportage has amazing standard exterior features including: 17-inch alloy wheels, arrow mesh type radiator grille, black beltline molding, body-color exterior door handles, body-color bumpers with chrome garnish, solar control glass, sound-absorbing front windshield glass, privacy glass, heated rear glass with timer, variable intermittent windshield wipers with deicer (AWD), rear wiper/washer, projector beam headlights, LED positioning lights, and a locking fuel filler door. Features in higher trims can include: a rear spoiler, roof rails, heated outside mirrors, and a panoramic sunroof. There is sure to be a style for you to fall in love with in the 2015 Kia Sportage. Don’t just enjoy looking at your new SUV! Make sure it has all the features for optimal comfort and convenience on the inside as well! 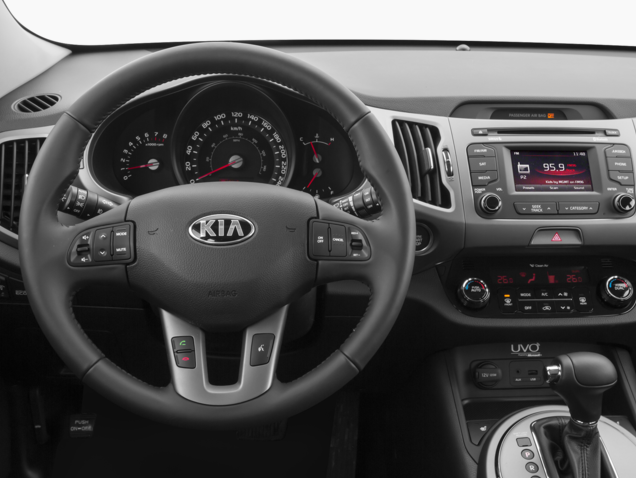 The 2015 Kia Sportage comes standard with features including: an AM/FM/CD/MP3/SiriusXM audio system with 6 speakers, Bluetooth® wireless technology hands-free connectivity, steering wheel-mounted audio, hands-free phone, and cruise control buttons, USB/auxiliary audio input jack, and Active Eco System. Want a little more luxury? No problem! Enjoy available features such as: UVO eServices Infotainment System, a 7-inch color touch-screen display and Sirius Traffic, a rear-camera display, Back-Up Warning System, and heated and/or ventilated front seats. With a sleek, stylish exterior, and a refined, advanced interior, there’s no going wrong with the 2015 Kia Sportage. Some of the standard safety features on the 2015 Kia Sportage include: dual front advanced airbags, dual front seat-mounted side airbags, full-length side curtain airbags, rollover sensor, front active headrests, 3-point seat belts for all seating positions, front seat-belt pretensioners, 4-wheel disc brakes w/ Antilock Braking System (ABS), Vehicle Stability Management (VSM), Electronic Stability Control (ESC), Traction Control System (TCS), Electronic Brake-force Distribution (EBD), Brake Assist System (BAS), Hill start Assist Control (HAC), Downhill Brake Control (DBC), Tire-Pressure Monitoring System (TPMS), side-impact door beams, front and rear crumple zones, Lower Anchors and Tethers for CHildren (LATCH), and rear child-safety door locks. Be sure to stop into Carriage Kia and experience luxury in a 2015 Kia Sportage today! With our large inventory, our team here at Carriage Kia loves helping our customers find the perfect new car or used car for them! Please feel free to contact us if you have any questions or would like to schedule a test drive!